UPDATED: The State Board of Education will take up the issue of whether school districts can continue to use lessons from a controversial state curriculum system at its September meeting. And the Texas Attorney General's office, along with Education Chairman Dan Patrick, has requested an official state audit of the program. The State Board of Education concluded its July meeting without providing further guidance as to whether Texas school districts continued to use lessons from CSCOPE, the controversial state-developed curriculum system. "It's not up to the state board," chairwoman Barbara Cargill, R-The Woodlands, said after the meeting. "I don't know who it is up to, but it's not up to us." Though she added that legislators are the ones who need to clarify whether districts can still use CSCOPE lesson plans, which are now in public domain, Cargill said the board will discuss CSCOPE at its Sept. 18 meeting. Meanwhile, the Texas Attorney General's office, along with Education Chairman Dan Patrick, has requested an official state audit of the program. "After months of research, once again with the tireless help of the grassroots, it appears that CSCOPE may have spent millions of dollars outside of normal government rules and regulations," said Patrick in a post on his Facebook page Friday. Patrick also said in that post that he disagreed with the conclusion that, since CSCOPE material is now in the public domain, districts could continued to use it. He said he would check into it further. After the Friday meeting, board member Thomas Ratliff, R-Mount Pleasant, issued a release praising Cargill for placing CSCOPE on the September agenda. "This artificial controversy has gone on too long without someone at the state level taking charge and performing a review of these lessons and separating myth from reality and education from politics," he said. Near the end of this year's regular legislative session, Senate Education Chairman Dan Patrick, R-Houston, announced that the state-developed curriculum system known as CSCOPE would no longer provide Texas public schools with lesson plans. The decision came after outcry over a perceived anti-American agenda in the lesson plans, used in some part by 70 percent of Texas school districts. The lesson plans had been the subject of exhaustive hearings before legislative committees and the State Board of Education. 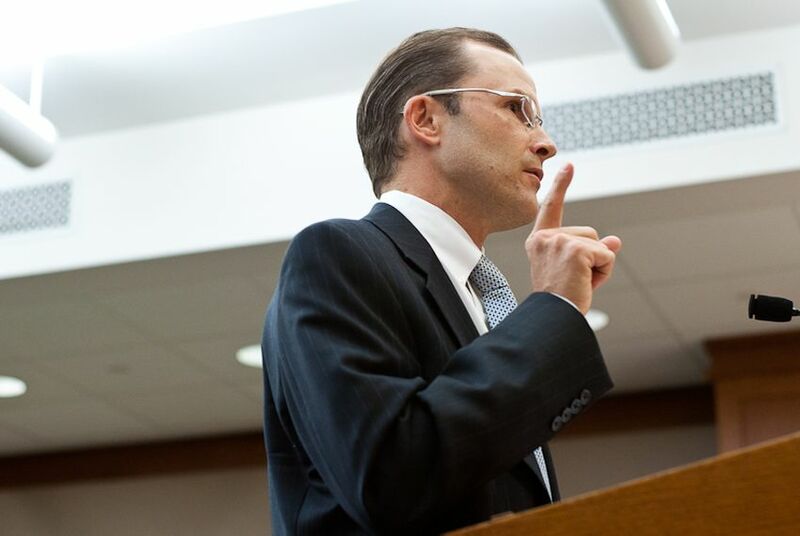 Despite Patrick's announcement, questions to Texas Education Agency officials at a Wednesday SBOE meeting revealed that there is nothing to stop school districts from continuing to use the lesson plans produced by CSCOPE, which are now in the public domain. Many educators say that concerns about the lessons, which conservative radio host Glenn Beck has featured on his radio show and have fueled outrage among activists in the state, are exaggerated and based on a few, outdated examples. And administrators at some school districts — primarily smaller, rural ones — say the decision to discontinue them has created financial hardship that will draw resources from other areas. "It's now six weeks before schools starts, and they are in a free fall," said Thomas Ratliff, a Republican SBOE member who represents much of northeast Texas, where he said 90 percent of the school districts use CSCOPE. Ratliff asked TEA officials at the meeting whether there was anything to prohibit districts from using the lessons, because the state's education centers no longer held the copyright to them. "The CSCOPE lessons are in the public domain in the sense that Shakespeare is in the public domain and anyone is allowed to use it," said TEA attorney David Anderson. After Patrick announced the CSCOPE agreement, he posted on his Facebook page that he would report any school districts continuing to use the lesson to the Texas attorney general — something Ratliff said was "scaring the you know what out of a lot school districts" that would like to keep using the lessons. TEA Commissioner Michael Williams said that to the extent he had looked at it, he was somewhat at a loss "as to what the nature of the action would be that the attorney general would file," adding, "I'm not so sure he was advised that he was being placed in that position." Other SBOE members were alarmed by the prospect of school districts continuing to use CSCOPE on their own. "The parents in my district are livid about the lessons that are given to their students," said Geraldine "Tincy" Miller, R-Dallas. "If nothing else out of this meeting this week, I need a statement to take back to my constituents about how are we going to handle this very controversial issues that I was under the impression had been taken care of." Miller said that it was her understanding that legislation passed during the regular session allowed the state board the authority to review and approve the lesson plans used by school districts. While Anderson said there was nothing stopping the SBOE from reviewing lessons, it was local school boards that made the final decision about how state standards were taught in the classroom. Because of the confusion among SBOE members and school districts, Ratliff said he planned make a resolution for the board to issue a clarifying statement when it continues meeting on Friday.